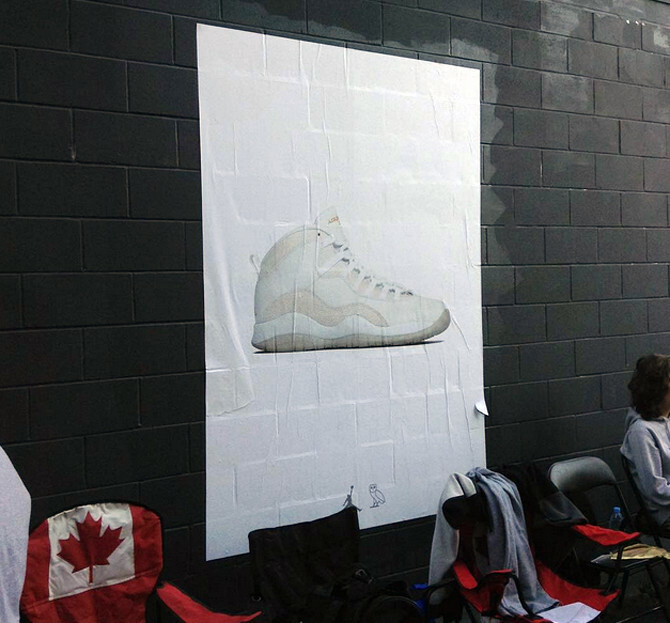 OVO Air Jordan 10s may not officially release until September, but optimistic sneakerheads already started camping out for the sneakers at the OVO pop-up shop in Toronto. People began setting up in front of the shop as early as last night after hearing the rumor that the sneakers were going to release this weekend. But, campers were sent home Friday morning by a shop employee who insisted that they didn't have the sneakers. "They said that they weren't having them, they were dismissing us," said Dorian, a man from Montreal who went to Toronto for the weekend for the Caribana celebration in the city. "'If you're trying to get them, they're not here,' one of those types of things." Dorian arrived at the shop at around 10 p.m. Thursday night and was the tenth person in line. By Friday morning there were about 35 people eagerly waiting outside the shop who planned to wait there until Saturday's rumored release. Some lingered around despite being told by store employees that the sneakers wouldn't be there. Most left within minutes, Dorian said. Other outlets have mentioned police presence at the shop, but Dorian and his friends said that no police were involved. He said he still plans to check out the store tomorrow just in case the OVO Air Jordan 10s do end up releasing. He lines up for sneakers frequently, and said he felt the familiar feeling of being deceived by a store not being truthful about its stock. "I know the vibe when they're trying to dismiss you as a customer...I think it might still happen," he said of the release. "I'm just going to wait it out and see." Rumors about a release this weekend originally hit sneaker sites on Thursday, when a leaked product line sheet provided info suggesting the sneakers would drop during Drake's OVO Fest. 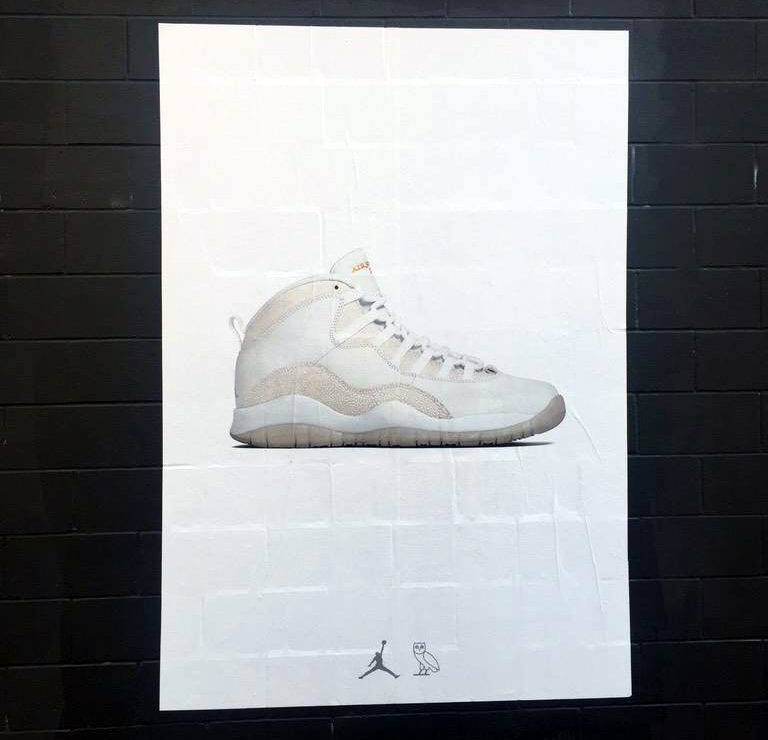 Not to mention, promo posters featuring the shoe were plastered on the walls outside the OVO pop-up – the rapper himself even teased Instagram followers with them. Even if it doesn't happen this weekend, a wider release of the OVO Air Jordan 10 is coming. Jordan Brand issued a tweet last night confirming that the sneakers will be releasing globally on September 12.